During August Seacourt: The Centre for Contemporary Printmaking will be offering an opportunity to learn more about original printmaking. 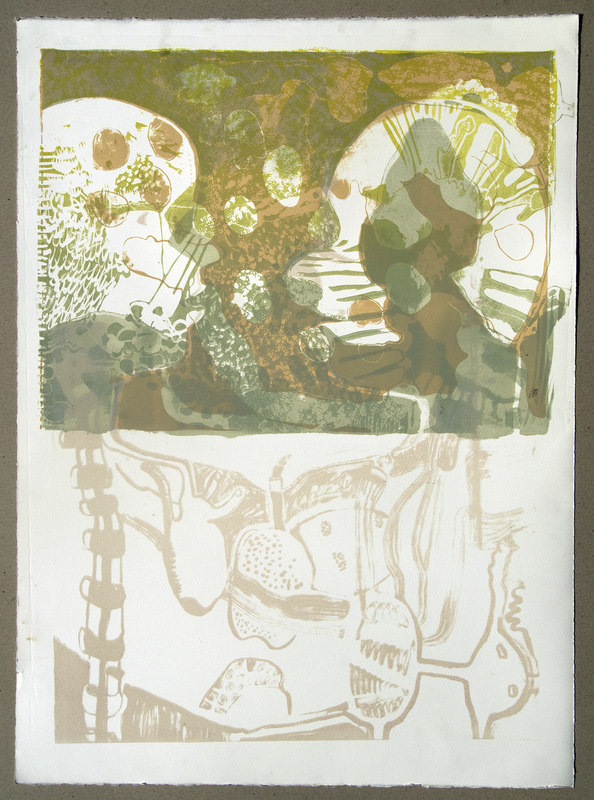 The annual Open Studio event provides demonstrations in a range of printmaking techniques alongside exhibitions and a chance to speak directly to artists about their creative process. The event runs from the 1st to the 14th August and access is available 9.30 – 4.30 each day including Saturdays and Sundays. This year there will be exhibitions by textile artists Shauna McGowan and Katie Brown. Both are past recipients of Craft NI’s making it Programme and are highly respected within their field. Shauna recently won 1st place at the RDS National Craft Awards in the Emerging Leatherwork Category whilst Katie was awarded the Bronze Award in the Fashion & Accessories in the 2016 Etsy Awards. Their exhibition will be accompanied by the work of three artists from Finland. Susanna Shearman, Christine Jalio & Mervi Viitajylha visited Seacourt earlier this year and spent time collecting stories and artefacts relating to loss and grieving from local people. Their collaborative installation is a response to those stories. The Open Studio event is a great introduction to the world of original printmaking. The word ‘print’ can be deceptive as it conjures up the posters that can be bought in IKEA or Homebase. 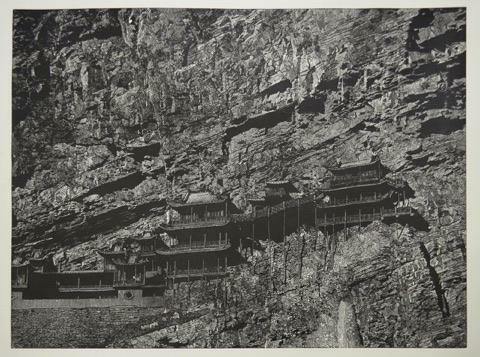 Original prints are hand worked using techniques that may have a history of 500 years or at the edge of new technological developments. To understand the difference you really need to see the laborious processes and artistic skill involved. Our print demonstrations take place at 2.00pm each day except Mondays and will offer a real insight into the methods involved. Seacourt has established itself as a world-class organisation in a universally accessible facility. Eden's Blueprint, an exhibition of original prints inspired by the historic site of Antrim Castle, will open on the 5th June at the Oriel Gallery and continue through July. This partnership project is with Clotworthy House Art Centre in Antrim. Antrim Castle Gardens are of the most unique and historically intact gardens in the UK and throughout Ireland. The former seat of the Skeffington family, Viscounts Massereene and Ferrard, Antrim Castle occupied its imposing setting on the banks of the Sixmilewater River since 1610. The family began laying out the gardens in the 17th century. While the castle itself was destroyed by fire in 1922 the principal Anglo-Dutch water features of the gardens, though somewhat neglected, have remained largely intact. These unique historic gardens, located close to Antrim town centre, recently underwent a major programme of works to restore many of the key features dating back to the late 17th century. The Heritage Lottery Fund’s recognition of Antrim Castle Garden’s historical significance provided the impetus for Antrim Borough Council to undertake what was the biggest garden restoration project seen in Northern Ireland. Over the next year Belfast International Airport is hosting a series of exhibitions of original prints created by members of Seacourt: The Centre for Contemporary Printmaking. Commencing with 'Response', which presents images inspired by a collection of photographs documenting Native Americans from 1902, the venue will enable 4,000,000 visitors per year to experience original prints. This is a fantastic opportunity for our members to share their prints with a large audience. Seacourt has a strong record of exhibiting art in non gallery settings, but this expands our audience to undreamt of proportions. We would like to thank Belfast International Airport, particularly Human Resources Manager Jaclyn Coulter, for this support in bringing visual art to new audience. Following on from 'Response' a partnership project with Clotworthy House Arts Centre, Antrim 'Eden's Blueprint' will run to November. In January a new body of prints based on a theme suggested by Belfast International Airport will be launched. Three artists have travelled from Finland to take part in Seacourt’s first interdisciplinary residency. Susanna Shearman (writer), Christine Jalio (jeweller) and Mervi Viitajylha (set designer/prop maker) will be in Bangor from 17 - 25 May to work on a film exploring cultural responses to bereavement and grieving. They are hoping that local people will be willing to assist by providing them with objects of sentimental value and the stories behind them to include in the film. All objects will be returned of course. Seacourt prides itself on its international relationships and has added Finland to existing links with Arizona, Washington DC and New Zealand. Several Seacourt members will take part in residencies at Cultural Centre Vanha Paukku, Finland this year. Seacourt’s Self Arranged Residencies are interdisciplinary and welcome artists across all art forms. This month lithographer Joseph Sores will visit from New Orleans and in August Brian D Cohen will visit from Washington State. Dominic Valencia will visit from Arizona for two months beginning in September. Currently an exhibition of small prints by 233 artists from 30 countries is being exhibited at The Centre for Contemporary Printmaking in Balloo Industrial Units. 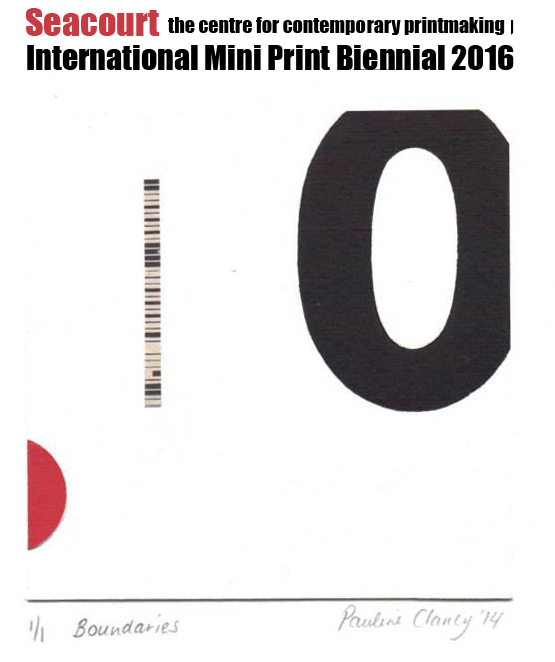 This International Mini Print Biennial continues to the 27th May. The gallery is open Monday to Friday 9.30 – 4.30 daily. Saturday access can be arranged by appointment. For further details contact info@seacourt-ni.org.uk or 02891460595. Two artists have travelled from Paris to spend three weeks at Seacourt: The Centre for Contemporary Printmaking in Bangor. Rob Miles and fellow lithographer Alice Gauthier spent their time creating a new collection of original prints. The visit took place as part of Seacourt’s Self Arranged Residency initiative which allows professional printmakers access the widest range of print techniques in Ireland in exchange for a talk and workshop. We are pleased that artists from outside the UK choose to visit our facility based on our growing, international reputation. Rob and Alice are very talented artists who graciously shared their knowledge of lithography with our members. We are sure these cultural exchange opportunities support our members in learning new techniques and developing their skills. Rob and Alice’s visit was also timely in that in coincided with our International Mini Print Biennial, which contains 233 original prints by artists from 30 countries. This exhibition gives the public a rare opportunity to experience printmaking on a global scale. Seacourt’s Self Arranged Residencies are interdisciplinary and welcome artists across all art forms. This month there will be visits by Susanna Shearman a writer, Christine Jiallo a jeweller and Mervi Viitajylhä a puppeteer; all from Finland. Also in May, lithographer Joseph Shores will visit from New Orleans will visit. During August Brian D Cohen from Vermont will be here and in September Dominic Valencia from Arizona will be at Seacourt for two months. An exhibition of original prints by 233 artists from 30 countries opens its doors on Thursday 14th in Seacourt: The Centre for Contemporary Printmaking , Bangor at 7.00pm. The exhibition is the 2nd International Mini Print Biennial to be held at the world renowned artist resource and offers visitors a real insight into the art of printmaking across the globe. We have had an outstanding response to our Mini Print Biennial this year. Participating artists have increased by almost 100 on our previous exhibition two years ago. We have received high quality etchings, lithographs and relief prints from skilled printmakers from many countries including a number from Iran for the first time. We would encourage everyone to take this opportunity to visit our gallery to experience this astounding collection of original prints. Muncaster explores Portraiture as an historically prevalent art form. By creating multi layered screen prints of characters from popular culture he seeks to question assumptions of high and low art forms within the visual arts. He acknowledges the double interpretation of super hero comics as both social comment and pulp trash. Muncaster also plays with the significance of titles in our reading of the image, suggesting that text may have more power than the visual within a culture that promotes and extols a purely academic understanding of culture. Printmakers and artists using printmaking in their practice are invited to submit original prints in any medium. Submission deadline is the 25th March 2016. Paper size for this exhibition is restricted to 20cmx20cm. A maximum of two prints can be entered per participant and can be from an edition or two different prints. One work will be displayed on the gallery wall. The remaining prints will be available for viewing in the gallery browsers. An entry fee of £20.00 per artist is required. This will cover handling, installation and return postage of unsold work. The exhibition will run from April 7th to May 20th. Following the exhibition at The Centre for Contemporary Printmaking prints from the browser will be displayed in the FE McWilliam Gallery and Down Arts Centre for a further month. Works will be posted back before the June 30th. Seacourt Print Workshop in celebrating receiving funding from two of the UK’s most prestigious trusts. The Esmée Fairbairn Foundation and the Paul Hamlyn Foundation have both committed support for a two year project called ‘Interhuman’. For the past number of years Seacourt has engaged with a range of individuals who are categorised as belonging to marginalised groups and who are involved with agencies and service providers within those designations. Many speak of the frustration of being solely identified through their illness or medical condition. Through the positive relationships and trust we have developed with groups over the past number of years we feel we are in a position to support individuals in stepping outside of their categories and joining with others who share a common interest or enjoyment of a particular printmaking technique. In this way we seek to break-down social barriers by regrouping individuals on the basis of printmaking related interests as opposed to shared disabilities, medical conditions or immigrant status. Esmée Fairbairn Foundation has provided £ 31,400 toward the programming costs of delivery workshops to eleven groups including Action Mental Health, JigsawNI and the Cedar Foundtaion. The individuals from these groups will then be able to participate in further workshops that will deepen their understanding of printmaking in mixed status groups in year two. An additional element to year one will be assessing the impact on wellbeing of participants. Esmée Fairbairn Foundation aims to improve the quality of life for people and communities throughout the UK both now and in the future. We do this by funding the charitable work of organisations with the ideas and ability to achieve positive change. The Foundation is one of the largest independent grant-makers in the UK. It makes grants in the region of £35 million annually towards a wide range of work within the arts, children and young people, the environment and social change. It also makes up to £35 million in social investments in organisations that aim to deliver both a financial return and a social benefit. The Paul Hamlyn Foundation has provided £25,986.00 toward technical support in delivering the project. It was originally intended that we would host a major symposium in 2017 at which the finding from the project will be reported. It was subsequently agreed that the key messages from our projects would have more impact and be disseminated to a much larger audience if we used social and visual technology to report on our work. With this in mind we hope to upload a video in late Autumn 2017 or early Spring 2018. Paul Hamlyn Foundation was established by Paul Hamlyn in 1987. Upon his death in 2001, he left most of his estate to the Foundation, creating one of the largest independent grant-making foundations in the UK. Its mission is to help people overcome disadvantage and lack of opportunity, so that they can realise their potential and enjoy fulfilling and creative lives. It has a particular interest in supporting young people and a strong belief in the importance of the arts. Seacourt Print Workshop is based at The Centre for Contemporary Printmaking in Dunlop Industrial Estate, Bangor. It is a universally accessible, fine-art print facility providing access to the widest range of printmaking techniques in Ireland. Its gallery is open to open to the public Monday – Friday 9.30 to 4.30. The current exhibition is the Members Annual Exhibition which continues to the 19th January. For further details contact info@seacourt-ni.org.uk or 02891460595. Four exhibitions by artists who make original prints, highlighting other elements of their artistic practice. Dark Matter will be on display in The Market Place, Armagh from the 25th October. The exhibition of original prints were inspired by images of deep space and our attempts to understand our place in the Universe. Participating artists include Ned Jackson Smyth, Brian Connolly, Nicholas Devison, Ethan Smyth, James R Moore, Donal Billings, Tracy Bradely, Lindsey McDougall. This is a partnership project with Armagh Planetarium. Seacourt Print Workshop’s dedicated education area enables us to offer our ‘A’ Level Programme each day of the week Monday to Saturday. The optimum number of pupils is 8 but where transport and distance are an issue we can accommodate up to 14. The cost remains at £25 per pupil (including all materials). We are offering both drypoint and salt-etch sessions. The materials for drypoint will be posted to the school along with instructions and a link to a YouTube video. Salt etch is a safe intaglio process which uses copper sulphate, a salt solution, to etch aluminium plates. The process allows for a greater range of mark making including fine line drawing to expressive, painterly strokes. The activity is suitable for A2 students and will build on skills developed through drypoint in the AS year. Plates will be prepared at SPW in the morning and printed in the afternoon. If you would like your pupils to participate in our ‘A’ Level Programme you can contact us with your preferred dates by email info@seacourt-ni.org.uk or telephone 02891 460595. The Centre for Contemporary Printmaking was the setting for an international symposium exploring social engagement through art. Representatives from Finland’s Cultural Centre Vanha Paukku and Dundalk’s Creative Spark joined Seacourt facilitators to share their experience and learn book –making skills from American artists Patty Lee and Gretchen Schermerhorn. The event, supported by North Down Borough Council before its merger, provided an opportunity for Seacourt to lay the foundations for new partnerships within Europe and maintain its international links to the US. Our autumn programme of weekly, weekend and one-day courses are now available to book. Still the most reasonably priced in Ireland, they provide a great opportunity to learn a range of print techniques from professional artists. Launch 7.00pm Wednesday 1st July. This exhibition brings together examples of work by a number of groups Seacourt has been working with over the past year including Comber Autism Support, AGEnda, Fibromyalgia Support North Down and Ards, Bangor Art Projects, Jigsaw, Cranley Lodge, The Northern Ireland Hospice, Kilcooley Wider Community Group and International Women North Down . Many of the workshops have been led by Master Printer, Penny Brewill who has been creating innovative programmes designed specifically for individuals who have health support requirements; funded through The Foyle Foundation. Support for individual programmes has come from The Arts Council of Northern Ireland’s Small Grant Programme and the Big Lottery. Exhibition continues to the 31st July. Gallery opening times: 10am-4pm Monday to Friday; Saturdays by appointment. Oceanographic is the culmination of a project with Queen’s University Marine Lab, Portaferry. Artists from Seacourt have been responding to research carried out by faculty staff and the broader theme of the ocean. At the launch Dr. Karen Mooney, EnAlgae QUB Project Manager and Emma Gorman, Macroalgal Technician will give a short illustrated talk on their research. 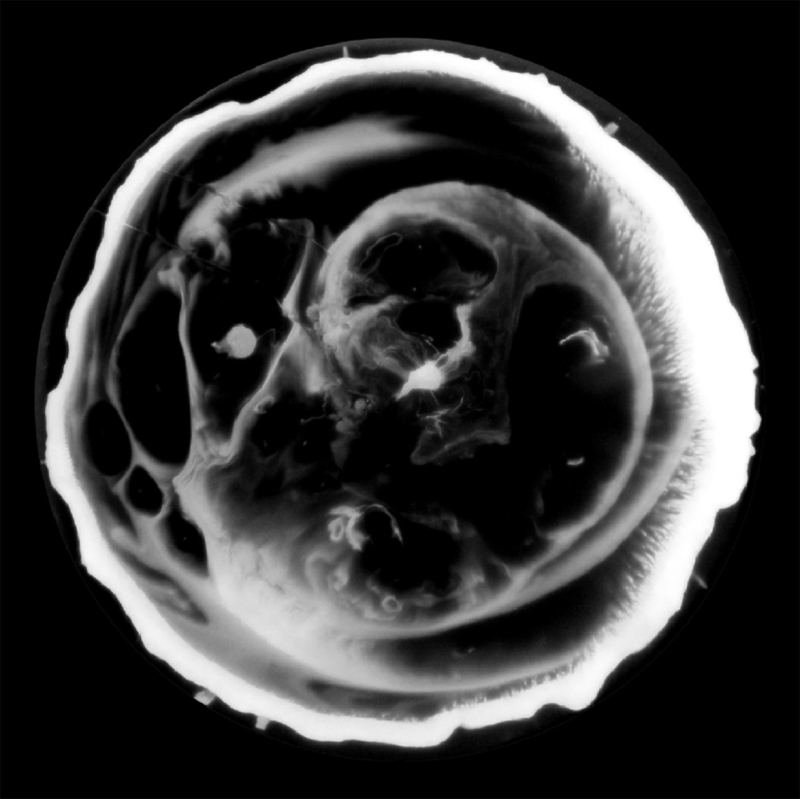 Marty Ittner from Pyramid Atlantic in Washington DC will show a large cyanotype artwork and give a short talk on her approach to making prints. Participating artists include Anne Anderson, Ann Bailey, Andrew Marshall, Cecilia Stephens, Pamela Armstrong, Kathryn Marshall, Tracy Bradley, Lyndsey McDougall, Des Edwards, Diane Cowan, Glenn Mills, Rosy Ennis, James R. Moore, Edward Ferguson, Steph Harrison, Helen Roberts, Caroline Jeffrey, Doris Rohr, Clinton Kirkpatrick, Lucy Turner, Helen Sanlon, Rachel Ramirez, Kate Fortune-Jones, Donall Billings, Shauna McGowan. Seacourt received funding through the Arts Council's Visual Arts Development Fund to redesign its brand across a number of platforms including its website, promotional material and logo. We wanted to highlight our new, universally accessible facility at The Centre for Contemporary Printmaking, which offers the widest range of printmaking in Ireland. We now have a gallery in which to highlight printmaking on a regional and international basis. We are also the only print workshop in Ireland with a dedicated participation suite in which to deliver workshops and classes across all ages and abilities. Our universal access has been made possible through substantial support from Ulster Garden Villages, Lloyds TSB Foundation Community Grants Programme and the ACNI to whom we are extremely grateful. Designer, Rory Jeffers responded perfectly to our brief for a clean contemporary look.